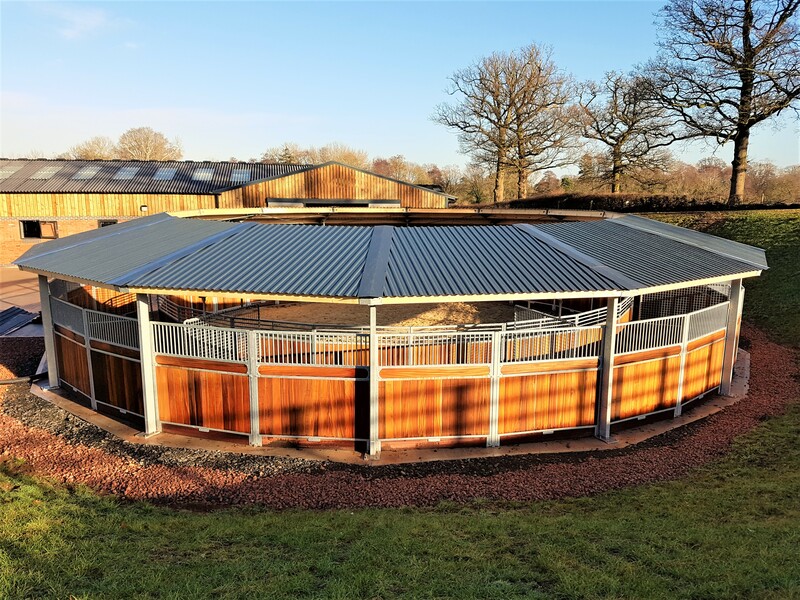 Both of our under cover horse walkers make it easy to exercise racehorses, whatever the weather conditions might be. Used on a daily basis, the horse walkers improve and help to build up horses strength without working too hard. It’s also a great way for horses to relax and cool down after exercise, without putting added strain on their muscles. At Tyre Hill Stables we use the walker to warm horses up before swimming and after to dry off. 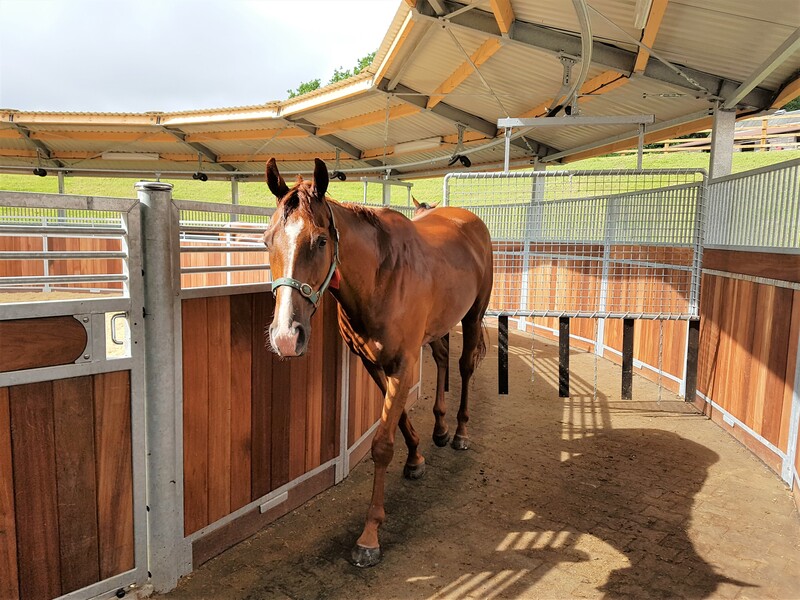 We have recently installed a brand new 8 horse walker which along with our original model now allows us to exercise 13 horses at any one time.